﻿ Should I hire a Pro or remove Opossums myself? USA Wildlife Removal Education Guide - Should I hire a Pro or remove Opossums myself? Should I hire a Pro or remove Opossums myself? -	When an opossum seem to be trapped in your garbage bin, yard, deck or any other place in your property. In these three situations, you can remove Opossums by yourself, provided, you don’t use your bare hands to do so. You need to protect yourself when removing opossums from your yard, deck, and garbage bins for instance, and the reason being that , a trapped Opossum is more dangerous than a free Opossum, thus, the animal may bite you . If the animal is trapped in the garbage bin for instance, you may have to over-turn the bin an empty all its content just to free the animal. Alternatively, you can use two sticks to grab the body of the animal and gently place it in a collection box, where it can be collected and relocated safely. In a situation whereby an Opossum is sick and in need of urgent help, then you need to call a pro , especially from the animal rehabilitation agency or organization, to evacuate the animal immediately. 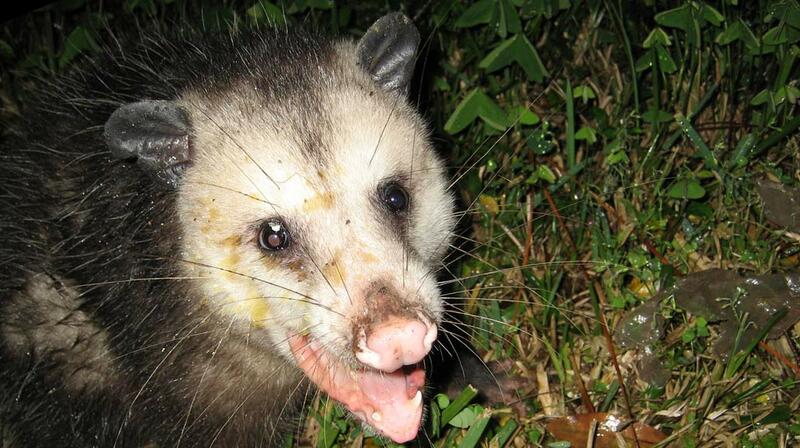 a sick opossum is capable of spreading diseases when you or your pet comes in contact with its blood, saliva and even skin, therefore it is important that you protect yourself and make sure all doors, and windows are locked and all openings are sealed off, to ensure that the animal does not come inside of your home. Do not make any attempt to feed a hungry or sick Opossum, a pro understand the kind of food formula to feed the animal and stabilize its condition until it receives a medical attention. In most cases, a stray Opossum , looking for care and attention will generally be treated by a pro and then re-integrated into a new society where the animal can survive. If you need help, we service the entire USA! Click here for a wildlife removal specialist in your town! Go back to the main Opossum Removal page for more information about Should I hire a Pro or remove Opossums myself?.